This article originally appeared in September 2011. 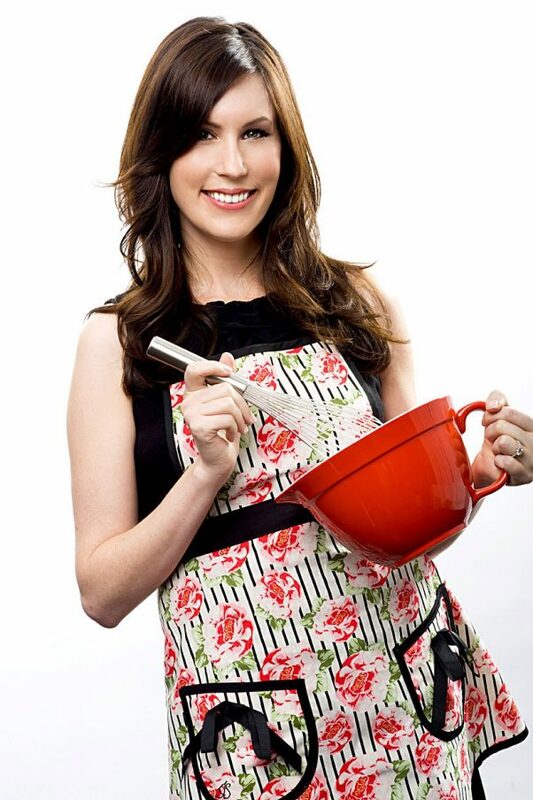 Tori Avey is now the author of The History Kitchen column on PBS Food. She also is the author of the new site, The History Kitchen (thehistorykitchen.com), which explores the fascinating history of food. Tori Avey is “The Shiksa in the Kitchen,” a food blog about Jewish cuisine. 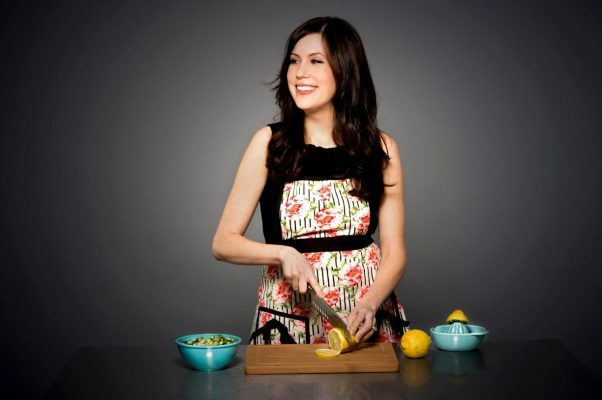 Tori is a convert to Judaism, and considers herself a “culinary anthropologist.” Tori has a considerable following on Facebook and Twitter, and she also contributes recipes to Zabars, the landmark New York City gourmet market. I have many! Joan Nathan, Gil Marks, Claudia Roden, Arthur Schwartz… and of course, my Jewish friends and family, who taught me everything I know about Jewish food. But my favorite food personality of all time has to be Julia Child. She was so natural in the kitchen, so real. When you watch her, you feel like you’re having dinner with a friend. She was one of a kind. Why do you call yourself a “shiksa”? Today, the word “shiksa” is generally used in good humor, but historically it has a negative connotation. A shiksa was a temptation for a Jewish man; the word was an insult, implying that the woman who was not born Jewish was somehow “unclean.” I made a conscious decision to embrace the nickname “shiksa” for several reasons, one of which is to help reverse some outdated negative stereotypes associated with the word. I am a convert to Judaism; I didn’t grow up in any particular religion. I embraced Judaism (and Jewish food!) with an open mind and heart. I chose this spiritual path, but I will never forget where I came from. I’m proud that I was born a shiksa, it made me who I am today. Plus, “The Convert In The Kitchen” doesn’t sound quite as cute, does it? Cooking is a spiritual experience for me. I am fascinated by the story behind the food– why we eat what we eat, how cultural foods have evolved, and how yesterday’s food can inspire us in the kitchen today. Food is a way of communicating; the energy we pass on through our cooking feeds the body as well as the soul. Every kitchen has a heritage, and every recipe has a writer. 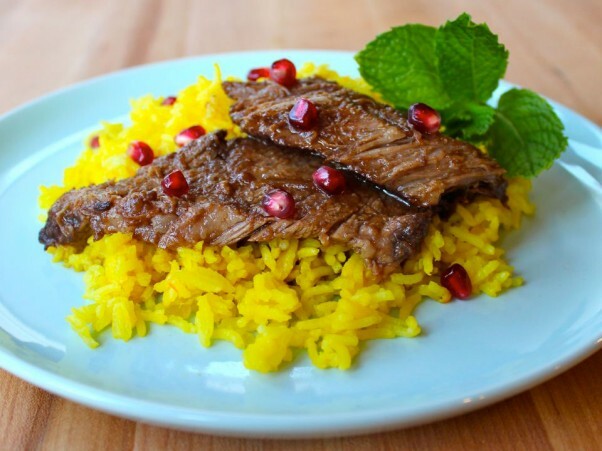 Knowing the story behind the food– the ancient history, or the family history, or even the history of one particular ingredient– can infuse a dish with meaning. And then a meal becomes more than just food, or something that fills you up physically. 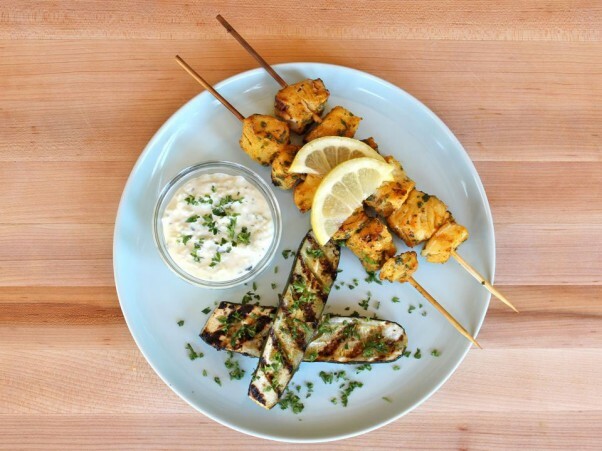 Food takes on a deeper significance, and ultimately becomes more nourishing. My site is like a shared culinary classroom, and I really love that it’s fostered this feeling of mutual learning. My readers are teaching me things all the time; we all learn from each other. 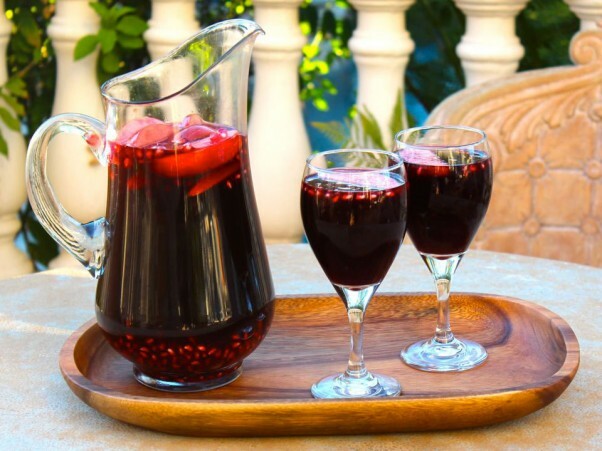 Many of my blogs were inspired by readers who sent me their family recipes and stories. It’s really special knowing that we’re all contributing to something bigger… a sort of online home for our shared kitchen heritage. My readers inspire me every day. I would never want to be on Iron Chef! I’m not competitive, and I don’t do well in high-pressure situations. Cooking is a relaxed, fun thing for me. I’d never want to turn it into an Olympic sport. I’d rather be in my kitchen with my husband and stepdaughter, sipping a glass of Chardonnay while I try out a new recipe. I enjoy cooking as a recreation—it’s a way to connect with other people, to nourish them. That’s why I never went to culinary school—I wanted to learn from moms and grandmas and bubbes, the way it’s been done in their family for generations. I don’t know how to cook sous-vide, and I don’t think I will learn anytime soon! That’s just not me. 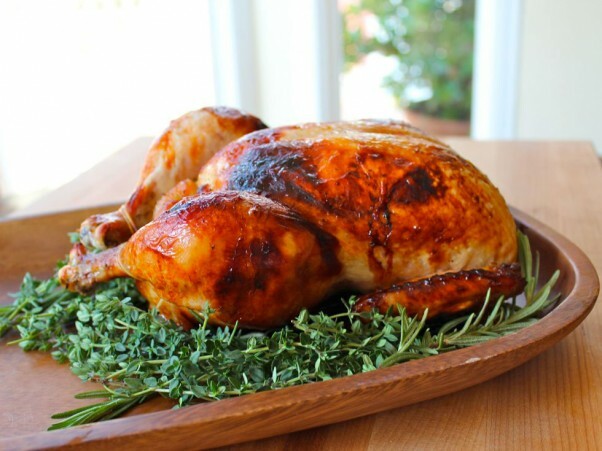 Need a recipe for Honey Herb Roasted Chicken? Outside of my website, my first web published recipe was on BonAppetit.com. In print, it was my local county newspaper, the San Luis Obispo Tribune… which was kind of awesome, since I used to write a weekly column for them when I was a teenager. Tel Aviv, Israel—followed closely by Paris, France. 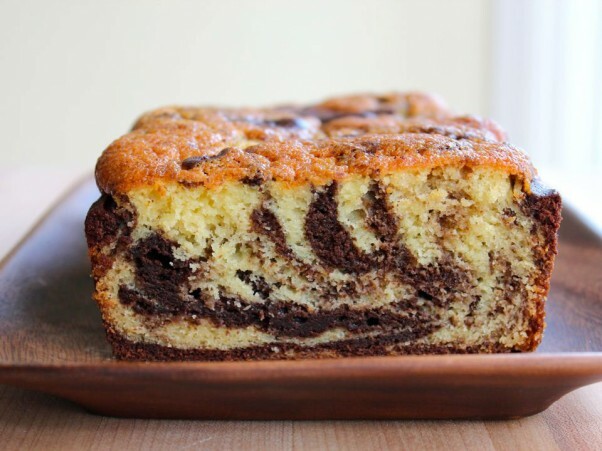 Tori shares her German Marble Cake from "The Shiksa"
The immersion blender! It’s a very handy little tool, and I couldn’t make a good green matcha tea latte without it. In one tweet (140 characters or less)- what is your culinary style? I’m a culinary anthropologist; I’m fascinated by the story behind the food. I approach cooking with an open mind, heart, and spirit. I write and develop children’s entertainment (cartoons and kids shows), and I write lyrics for children’s artists and shows. Lately my website has become a full time occupation, so I’m doing a lot of traveling related to cooking—media appearances, teaching demonstrations, etc. What advice do you have for people preparing meals for Rosh Hashanah? Plan your day of cooking. I actually write out a “game plan” of when things should start cooking to keep me on schedule. Enlist the help of others for grating, chopping, and other time consuming tasks. Cook dishes using full-fat ingredients, if possible. There are only a few important Jewish food holidays each year; it’s a special occasion, so I like to splurge and cook things the way they were meant to be cooked (like using schmaltz in my matzo balls—not heart healthy, but so delicious!). Use the freshest, best ingredients you can find within your budget. Most important, try not to stress. The holidays are about having fun with your family and friends. Cooking is a wonderful part of the holidays, but the time spent connecting with others and appreciating the meaning behind the holidays is really what it’s all about.